Metropolitan Chicago is a hub of motor vehicle traffic. With several interstates and countless major thoroughfares traversed by cars, trucks, motorcycles, and mass transit, motor vehicle accidents are bound to happen, most of them involving car accidents. In fact, car accidents account for the vast majority of motor vehicle accidents and personal injury claims. According to the National Highway Traffic Safety Administration (NHTSA), there were over 2 million injuries and over 25,000 fatalities as a result of car accidents in 2008. The legal claims associated with car accidents can involve complex legal and factual issues. If you have been injured or a loved one has been killed in a car accident, you should contact an experienced personal injury attorney immediately to determine if you have a legal case. The Chicago auto accident lawyers at Ankin Law Offices, LLC are highly experienced in handling all types of car accident cases. If you have been involved in a car accident of any kind, you will inevitably have to deal with insurance companies – both your insurance and the insurance company of the other driver. Unfortunately, insurance policies often include a number of complex and complicated legal provisions that can be difficult to understand and navigate if you have been the victim of an auto accident. Moreover, the negligent driver’s insurance company may not want to settle the claim for the amount you deserve. At Ankin Law Offices, our experienced Chicago car accident attorneys are well-versed in auto insurance policies. We understand the procedures and formalities of the insurance companies involved and will communicate with the insurance companies on your behalf. 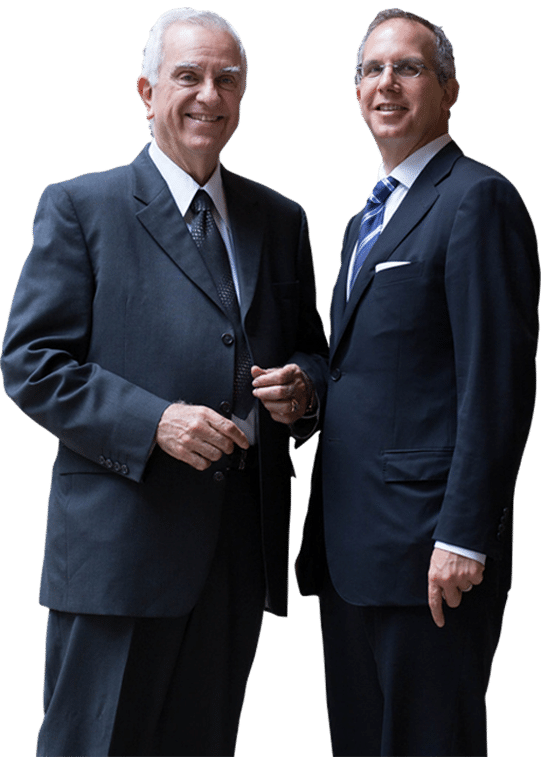 We will make every effort to negotiate a favorable settlement, but if one cannot be reached, we are prepared to vigorously advocate on your behalf in a court of law. If the other driver is uninsured or underinsured, we will help you proceed with a claim against your own insurance company under the uninsured motorist provision. In addition to handling claims stemming from car accidents, the knowledgeable Chicago motor vehicle accident attorneys have considerable experience handling other types of motor vehicle accidents, such as trucking accidents, motorcycle accidents, and mass transit accidents. 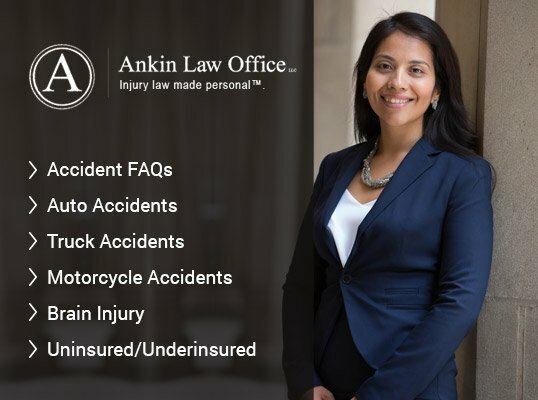 At Ankin Law Offices, our skilled Illinois motor vehicle accident attorneys have vast legal knowledge regarding all types of motor vehicle accidents, including auto accidents, trucking accidents, motorcycle accidents, and mass transit accidents. We are experienced Illinois personal injury attorneys with considerable experience representing clients in a wide variety of personal injury lawsuits, which affords us a vast amount of legal knowledge and allows us to effectively advocate on behalf of our clients. If you have been involved in a car accident or other motor vehicle accident, do not hesitate to contact the knowledgeable Chicago, Illinois auto accident attorneys at Ankin Law Offices to schedule a free consultation to discuss your car accident case. As with any personal injury accident, you must act quickly to protect your legal rights. If you or a loved one has been involved in a car accident, do not hesitate to contact us at (800) 442-6546 to schedule a free consultation with one of our skilled Chicago, Illinois car accident attorneys so that we can begin working on your car accident case immediately.